Perfect for an easy identification of your luggage, this pack of two name tags has been brought to you by the coveted brand, Travel Blue. 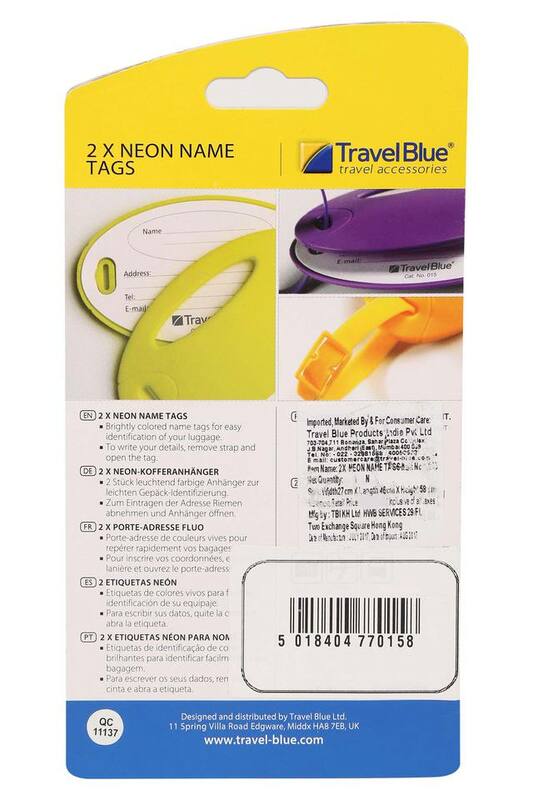 You just need to remove the strap and open the tag to write your details. Besides, it comes with a buckle closure so that you can easily attach it to any luggage. 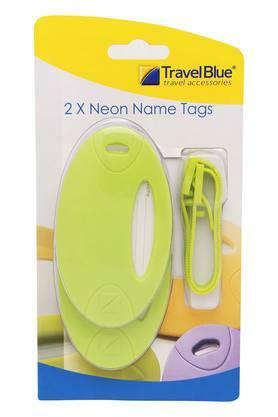 These two name tags in the pack come in a vibrant colour for an easy identification of your luggage. These have been crafted from a good quality material that makes these quite sturdy.